A modern twist on the table light gives the Happy Homewares itÕs unique stye. 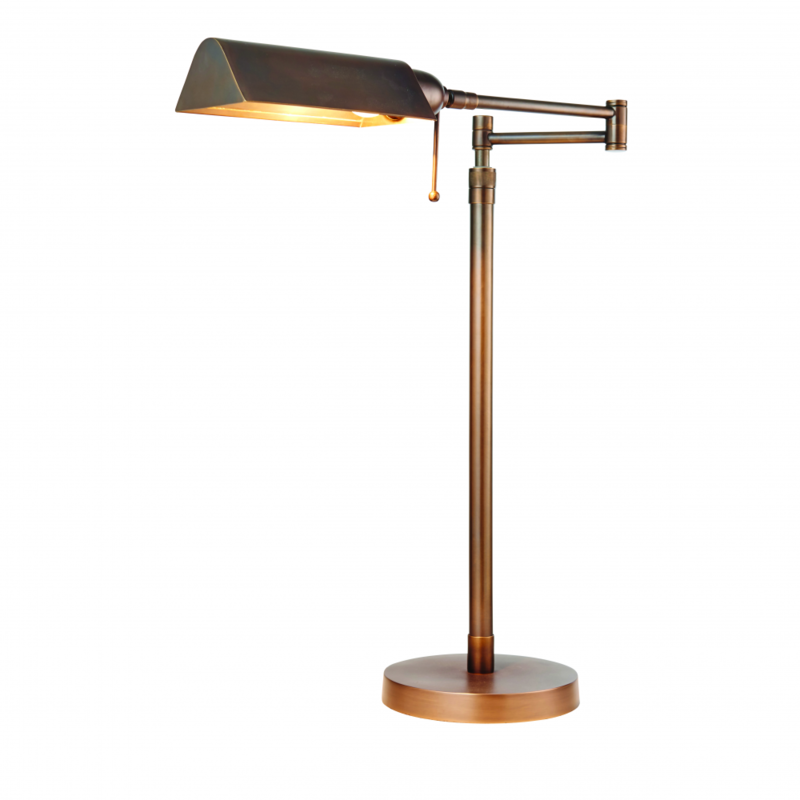 Made from brass with an antique patina to the finish, this table light has a swing arm mechanism and an adjustable head making it perfect for task lighting. Compatible with LED lamps. 59-66.5cm adjustable height x 47-72cm width x 20cm depth. Bulb information: 7W LED E27 - not included.